Hard to grow food; fresh water scarcity; would cost trillions in losses; hard for economies to thrive, let alone subsist / not collapse; mass job losses, hardship, poverty, unrest, hunger, disease, desperation, dissent, oppression; human and animal rights abuses and injustices; resource wars; mass migrations; biodiversity loss; mass extinctions; multiple threats to security, quality of life, duration of life, ability to survive. The percentage of Earth’s land area stricken by serious drought has more than doubled from the 1970s to the early 2000s. Thousands of species and millions of people are already suffering — and often dying(!) — from these kinds of impacts RIGHT NOW. As an example, the most severe drought in recent history, in the Sahel region of western Africa in the 1970s, had a PDSI of -3 or -4. By contrast, the new study indicates some areas with high populations could see drought in the -15 or -20 range by the end of the century. Read the excerpts below from Climate change: Drought may threaten much of globe within decades, a press release summary of an essential study by UCAR (University Center for Atmospheric Research), Drough Under Global Warming: A Review. 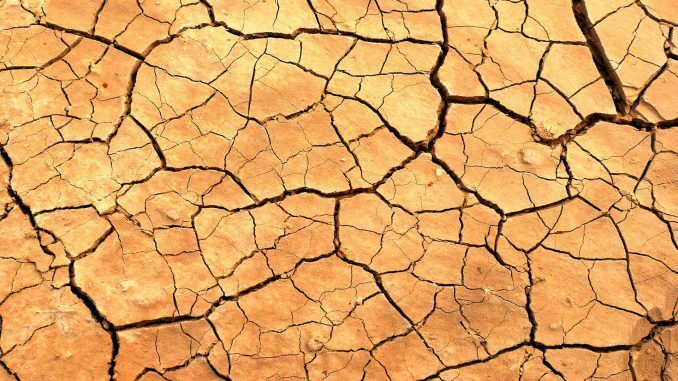 …the paper finds most of the Western Hemisphere, along with large parts of Eurasia, Africa, and Australia, may be at threat of extreme drought this century. …By the 2030s, the results indicated that some regions in the United States and overseas could experience particularly severe conditions, with average decadal readings potentially dropping to -4 to -6 in much of the central and western United States as well as several regions overseas, and -8 or lower in parts of the Mediterranean. By the end of the century, many populated areas, including parts of the United States, could face readings in the range of -8 to -10, and much of the Mediterranean could fall to -15 to -20. Such readings would be almost unprecedented.